Magnificent golden-apricot/peach flowers that are out facing on the first to open to semi upfacing as they reach the top of the stem. The next step in breeding following Corcovado. After 40 years in the lily business, it takes a lot to get us excited. Terrasol really excites us! 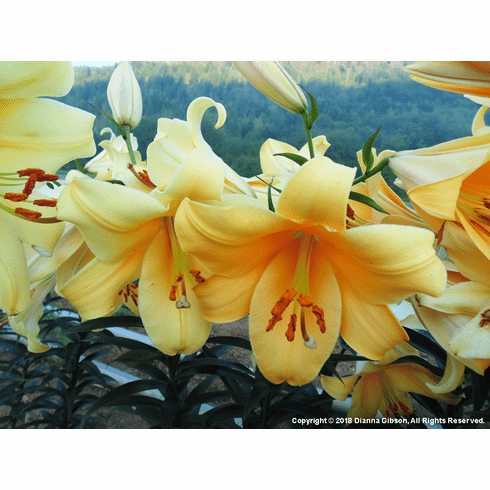 Dianna loves this lily so much she has them planted around the house as well. 3 to 4+ Feet. Late July / Early August Flowering.